← Just pop in those dates! Owner Pic of the Week: Snow in Tassie! This photo was taken on a walk up Mt Wellington in Hobart on our recent holiday there. 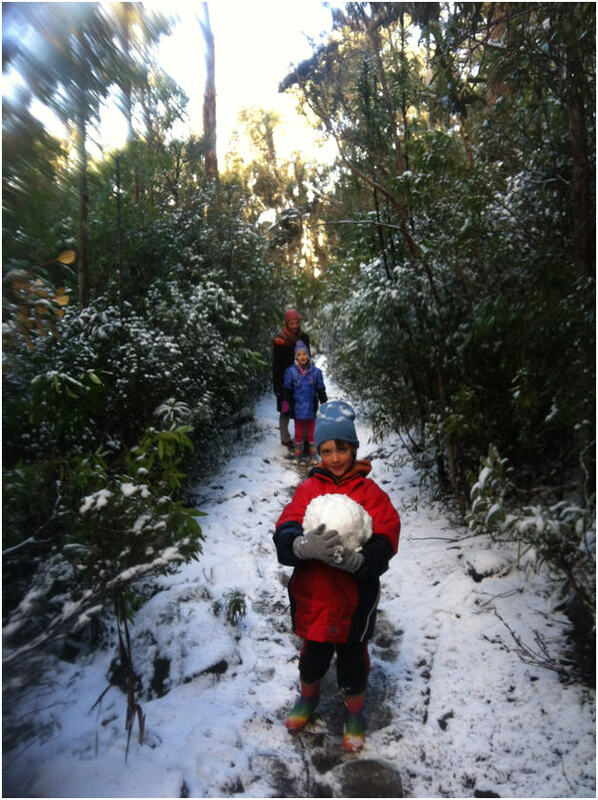 We wanted to return to Tasmania and give the children, Sam & Katie, an experience in the snow, as we left Tasmania 5 years ago and the kids were only 3 and had not really experienced snow before. The resort at Seven Mile Beach was a perfect base for exploring Hobart and the surrounds. This entry was posted in (TAS) Hobart and tagged australia, family, holiday, Seven Mile Beach, snow, tasmania, travel, vacation ownership, worldmark, Wyndham Resorts. Bookmark the permalink.